As the year winds down, we looked at all the great content produced by TTEC and the Customer Strategist Journal to see what resonated most with readers. Customer experience is a broad topic, so it’s interesting to see what people were most tuned into in 2018. For those of you who may have missed it, here is some of the top customer experience content accessed this year. Enjoy and have a wonderful holiday season! Though it’s easy to set the technology in place, AI’s customer service potential is lost if businesses don’t understand how to use these advanced tools to discover even the most basic emotions. TTEC is made up of customer engagement design gurus, technologists, and customer engagement service advocates on the front lines…serving incredible brands across the globe. We live to help our clients surprise, delight, protect, and care for customers. CarMax, the largest used car retailer in the U.S., is working to re-invent the used car market to be an omnichannel environment that’s innovative, easy to use, and transparent in an industry that depends on reliability. Though negative customer service stories often garner the most headlines, there are plenty of wonderful stories of companies and employees going out of their way to help customers that don’t get the same spotlight. By incorporating digital customer experience strategy into a holistic customer journey strategy, companies move closer to a frictionless, omnichannel customer experience. Emerson College is launching a new program in Digital Marketing and Data Analytics to meet demands for marketing professionals who can combine both the art and science of the discipline in the digital age. Emotional analytics is an emerging area that ties customer emotion and sentiment to tangible business outcomes. Content marketing expert Josh Ritchie sits down with Jeff Marcoux to share insights on how empathy and relatability through storytelling are amazingly effective CX drivers. 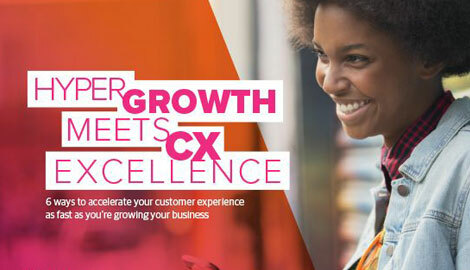 Discover five key steps to help you understand the current state of customer experience and create an ideal future state. Getting smart about AI is pretty tough. We’ve put together this tool kit to help you navigate the marketplace and make the best choices for both you and your customers. The path to digital and omnichannel excellence is paved with incremental customer engagement improvements. What's on Shoppers' CX Holiday Wish Lists?